Ven. Khenchen Palden Sherab Rinpoche and Ven. Khenpo Tsewang Dongyal Rinpoche first came to South Florida in 1983, at the invitation of four Dharma students. 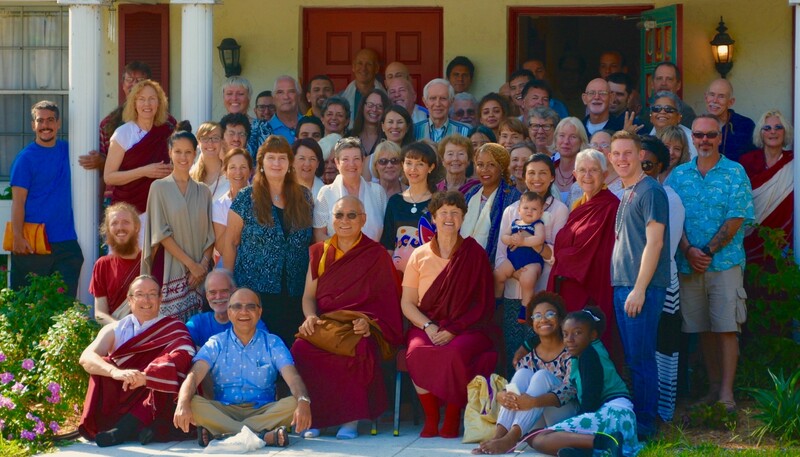 That first teaching, given in Loxahatchee, was on Bodhichitta: The Awakened Heart. They returned several times over the next few years and an eager group of students began to gather around them. In 1990 their father, Lama Chimed, arrived from India to settle into a small house that we bought near Dreher Park. 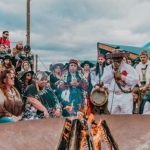 Lama Chimed spent the last twelve years of his life in retreat at Mandarava House, profoundly affecting many people who encountered this great hidden yogi. In 1999, we were able to buy our current Dharma Center in Lake Worth through the generosity of the Venerable Rinpoches’ many students. Over the last fifteen years, we have grown to fill this new space, with dozens of people participating in practices, discussion groups, and other activities several days each week. Mandarava House has become the primary winter residence for Khenpo Tsewang Dongyal Rinpoche and Lama Lorraine. Rinpoche leads an eight-day retreat every January, as well as other teachings and visits to the Center throughout the winter months. Lama Lorraine leads a Nyungne Retreat in the fall and offers guidance to students on ritual, art, and meditation. We have an open house every Saturday from 11:00 am to 1:00 pm. Our shrine room is open for private meditation and our bookstore and library are open for browsing. 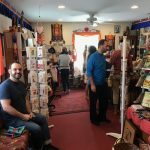 Our bookstore offers a wide variety of Dharma-related books, art, jewelry and ritual items, while our reading library has several hundred Dharma books. Visitors are welcome and membership is encourage. All regularly scheduled activities at our Center are free for everyone. We do ask for donations when we have special events such as retreats, webcasts, or live teachings by Ven. Khenpo Rinpoche in order to help pay the costs associated with these events, and we have fundraising events from time to time. 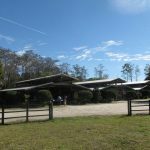 Since they first came to Florida, the Khenpo Rinpoches had dreamed of a retreat center in the countryside, a tranquil place where practitioners and others interested in the Dharma could come to hear teachings or simply enjoy quiet contemplation in peaceful surroundings. 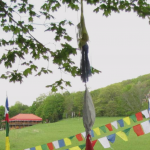 In 2014 we were blessed to find the land for Palden Sherab Pema Ling Retreat Center, a ten-acre former horse farm with three barns and a house that we are converting to our use. We are working joyfully to establish the Dharma in this special place, named for Khenchen Palden Sherab Rinpoche.